Egyptian Hibiscus is rated 5.0 out of 5 by 2. 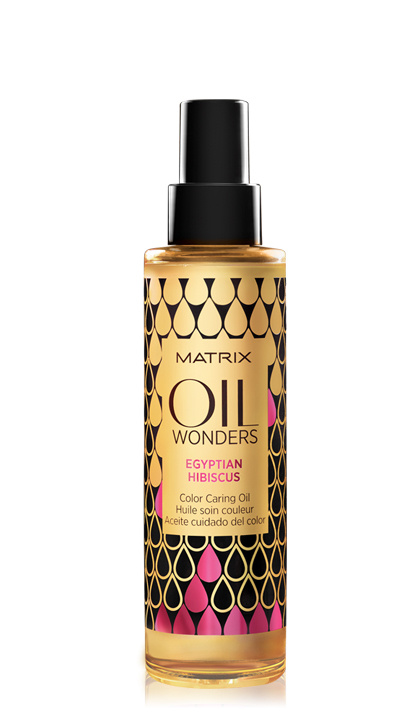 Share https://www.matrix.com/oil-wonders/products/oil-care-collection/egyptian-hibiscus Egyptian Hibiscushttps://www.matrix.com/~/media/new media library/product listing/filter options/product types/haircare/oilwonders/oilwonders_egyptianhibiscus_ow-eh.jpg Restores vibrancy to color-treated hair while providing softness and shine. Rated 5 out of 5 by Lola Copa from Dry hair? This is the answer! I have always had thick, dry hair. As ifthat isnt bad enough I change the color and cut pretty regularly (two times a year or more). I love, love, love this product. I am blonde now and actually carry a second bottle in my purse. Looking frizze and dry? A few drops pf this magic stuff and you are smelling amazing and hair is soft and looks great (depending where you buy, worth shopping around). Great prodict, worth every penny. Some of the macadamia oils are good, a but heavy and very expensive. Egyptian Hibiscus the way to go! Rated 5 out of 5 by Jjv125 from Wow... just wow! I have used the same product line for 20 years and after using a sample of this, I am actually researching Matrix and looking forward to trying other items in their haircare line. I have fine, dark hair and recently lightened the color adding blondes and pale platinum bits in the front. Of course my hair didn't have the same shine I was used to. However, this product made my hair manageable when wet/ damp, easy to comb while drying as well as soft and intensely shiny when styled. It's amazing! Over the past week I have noticed the quality of the lightened sections improved as well. I will switch to the Egyptian Oil when I no longer need the strengthening treatment simply for the softness and shine qualities. I am really impressed and anxious to try a few more products.